Sporting Kansas City will host a special event from 6:30-8:30 p.m. CT tonight inside the Sprint Festival Plaza at Union Station (30 W Pershing Rd., Kansas City, MO) to celebrate the team's MLS Cup championship. 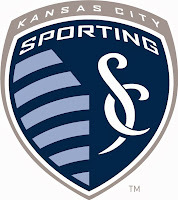 Sporting Kansas City prevailed over Western Conference Champions Real Salt Lake in a penalty kick shootout at Sporting Park on Saturday. The event is free and open to the public with parking available in the front lot or in the garage on the west side of Union Station, as well as at The National World War I Museum. Festivities will include a live DJ, player appearances and opportunities for fans to have their photo taken with the Philip F. Anschutz Trophy. Sporting Kansas City and Boulevard Brewing Company will provide complimentary beer for fans from 6:30-8:30 p.m. CT with a cash bar also available. Official MLS Cup championship merchandise will be available to purchase at the event. Supporters can also buy long-sleeve Sporting KC championship shirts in the Sporting Style pop-up store inside the Boulevard Members Club at Sporting Park from 10 a.m. - 6:30 p.m. CT, while supplies last. Additional commemorative items will arrive on Tuesday, including scarves, hats, women's and children's t-shirts.